Strainers are an inner frame that are placed behind the artwork package and secured with screws. Strainers are used by most museum and gallery fine art preparators when framing fine art exhibitions. They add extra strength to the artwork package and hold the artwork package in the frame. They also serve as a means of attaching the hanging devices. This is critical on very thin and very large frames. They also make the final fitting of the artwork package much easier by eliminating the need to secure the frame package with staples or flex point nails. The crossbars add additional strength to the strainers and also make it easier to lift and fit the strainer in the frame. 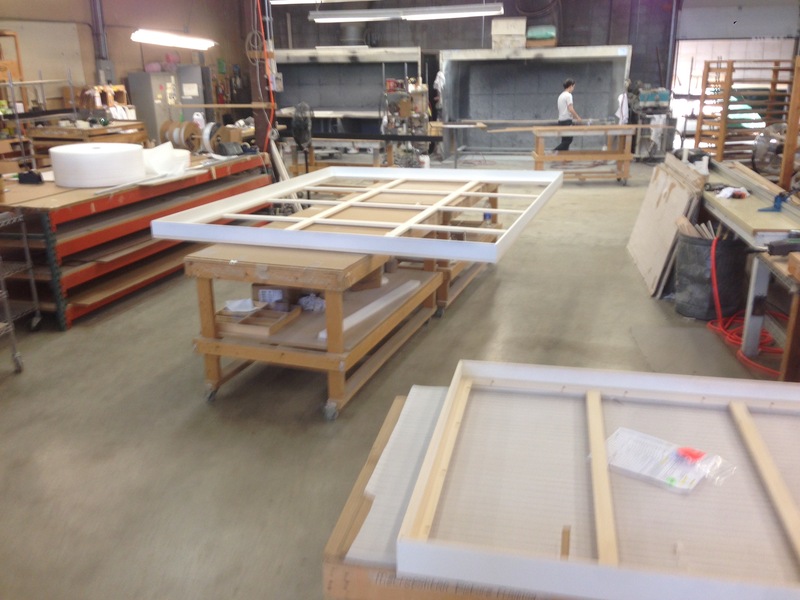 On frames over 15 linear feet crossbars will be automatically added to the strainers. This is the most popular option because the screws are not visible from the side and you can use the frame from multiple purposes by just filling in any additional space with backing boards. Screws are included. If ordering this option you must tell us the exact components you are using so the holes will be drilled to center on the strainer. Screws are included. If ordering this option you must tell us the exact components you are using so the holes will be drilled to center on the strainer. 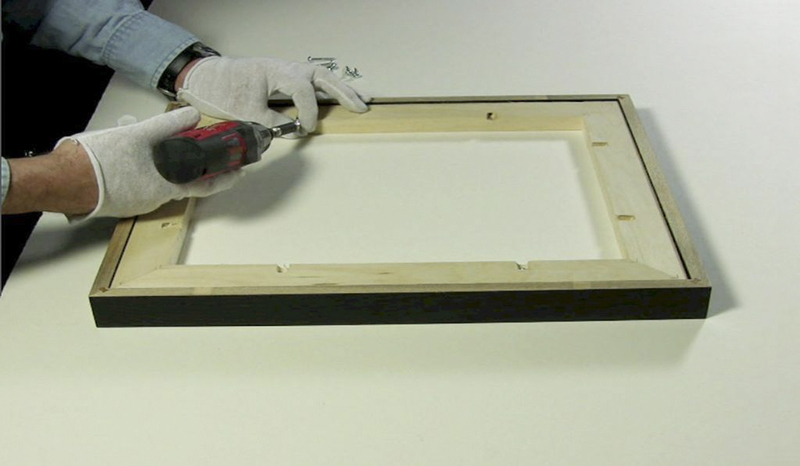 Inserts are recommended if the frames will be reused frequently so that the wood is not stripped when the screws are taken in and out with reuse. Inserts will come installed in the strainers. Screws are included. This option is only available on 3/4" deep strainers. This option is for customers who have the tools and expertise to do their own drilling.